great crktro in 22k with a great FC14 by Jesper Kristensen !. Incredible tune by J. Kyd. Later used by Hitchhikr in Hoodlum cracktro 3. 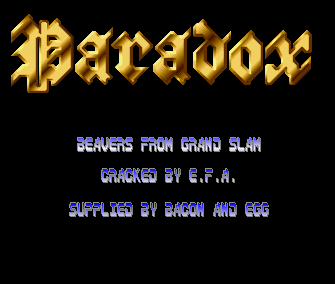 Yes, there was a lot of effects in this for a cracktro. more a real intro than a simple cracktro, and great music! page created in 0.014592 seconds with 15 queries.